New Southern Chinese Lions must be blessed by a traditionally ceremony called the Hoi Gong (开光 eye opening/dotting). 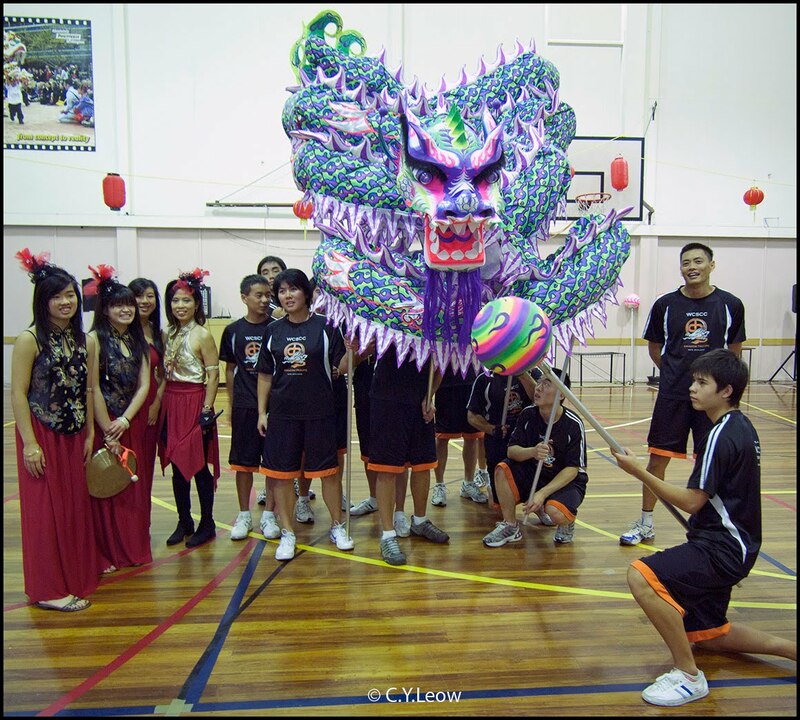 Traditionally a new lion should not be used if it hasn't gone through the Hoi Gong ceremony. According to the tradition if the lion is used at any kind of event without being blessed or awakened it will bring misfortune and bad luck. 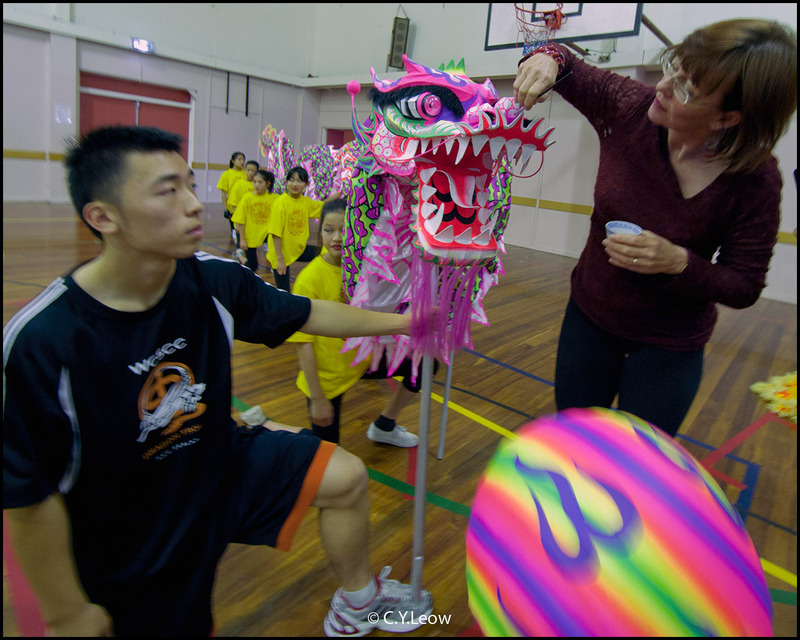 "Dotting the Eye" refers in particular to the Chinese tradition of painting in the eye of the Chinese lion before the start of the lion dance to awaken the spirit of the lion. Hoi Gong is a traditional ceremony to bless and awaken a new lion or in a more traditional concept bring down the spirit of the lion from the heaven and give it life. 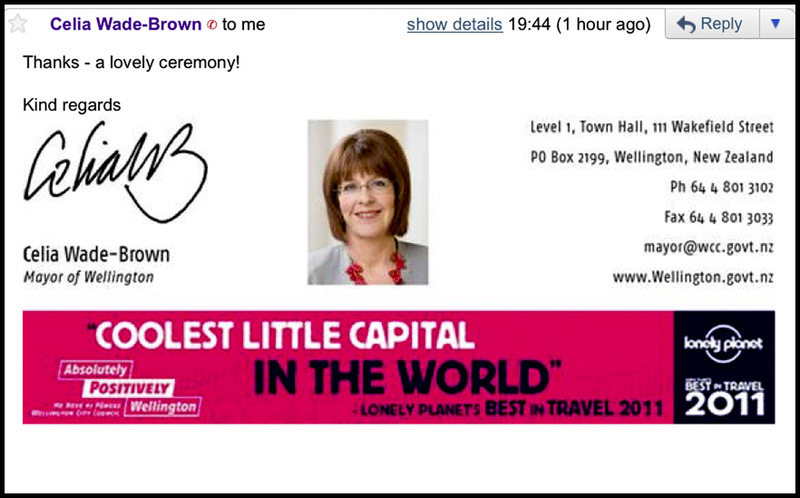 In other words this ceremony signifies the existence or birth of a new lion into the world. 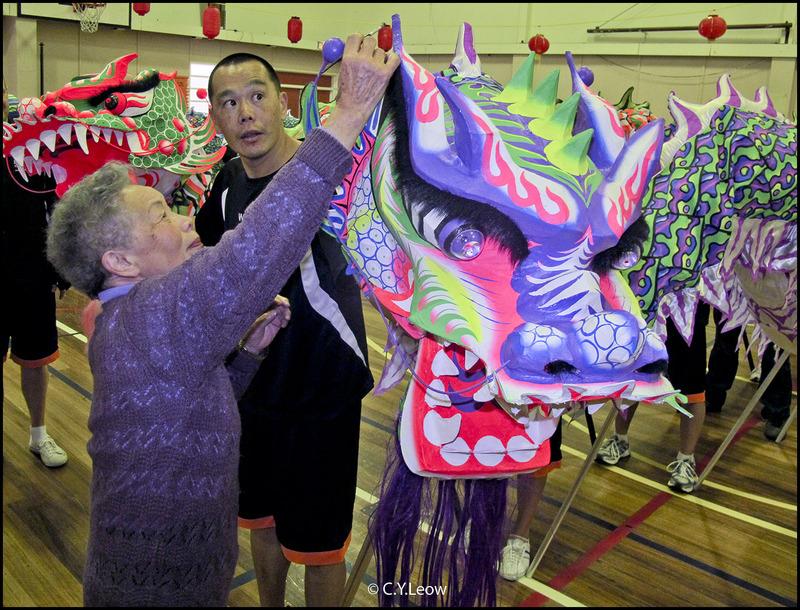 The WCSCC (Wellington Chinese Sports and Cultural Centre) Cultural Group have a very active Dragon Troupe. WCSCC Dragon Dance Troupe’s participation in the World Luminous Dragon Dance Championships – Hong Kong 2010. The Singapore team were the champions on the night with two Hong Kong teams placing 2nd and 3rd. The NZ team exceeded all expectations by placing a very creditable 8th place. On Sunday, all members were invited to a special “Eye Dotting Ceremony”. This is a traditional ceremony to “awaken” WCSCC newest additions to the Dragon and Lion family. Wellington Mayor Celia Wade-Brown dotting the eye of a new dragon. Esther Fung, ONZM doing her part of "waking" a new dragon. 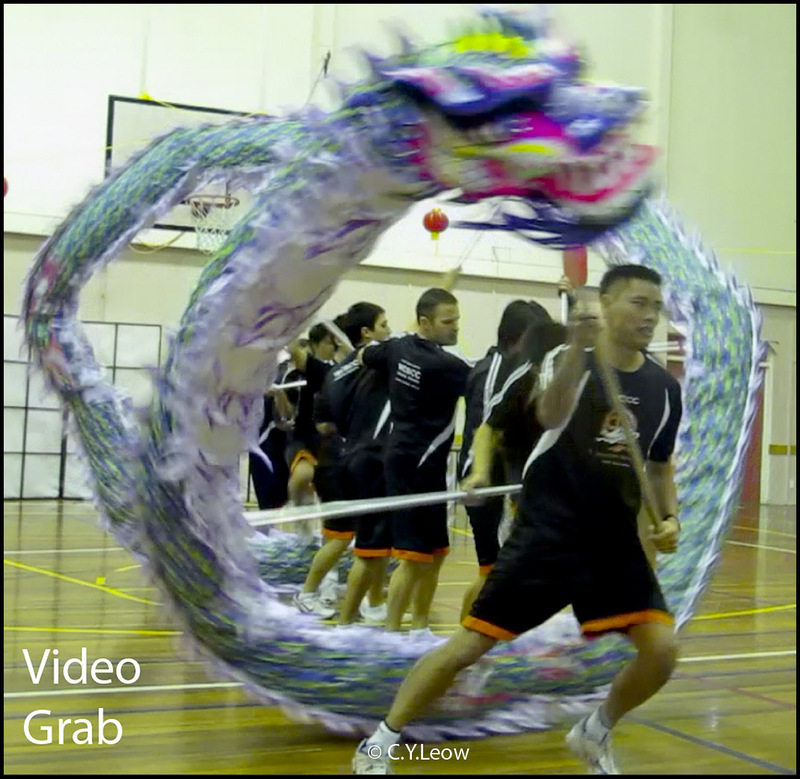 The WCSCC Dragon Dance Troupe did a rousing performance, watch the video below! World class performance from the WCSCC Dragon Dance Troupe! Watch it in HD here!! 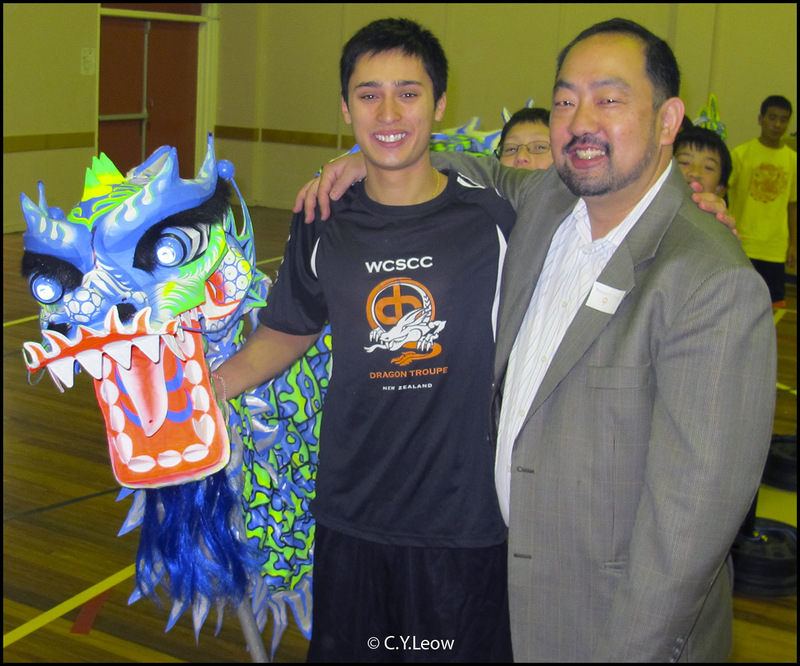 Malcolm Young, WCSCC President with Jason Roberts, Lion Dance Troupe Co-ordinator. Little members of the Wellington Chinese Language Preschool, WCSCC Yau-Yih-Yun, showing off their Lantern Dance. Members from the WCSCC Cultural Dance Troupe performing their classical Chinese Drum Dance. Junior Members of the New Zealand's WCSCC (Wellington Chinese Sports and Cultural Centre) Lion Dance Troupe performing their delightful Lion Dance. The dance started with many smaller lions and later were join in with two adult lions. 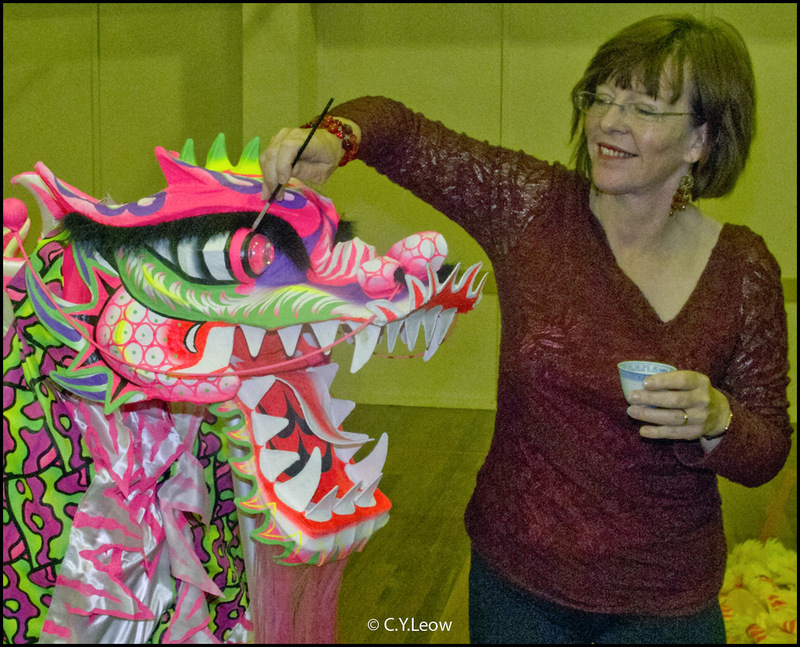 CNY Festival Celebrates Ten Year In Wellington! 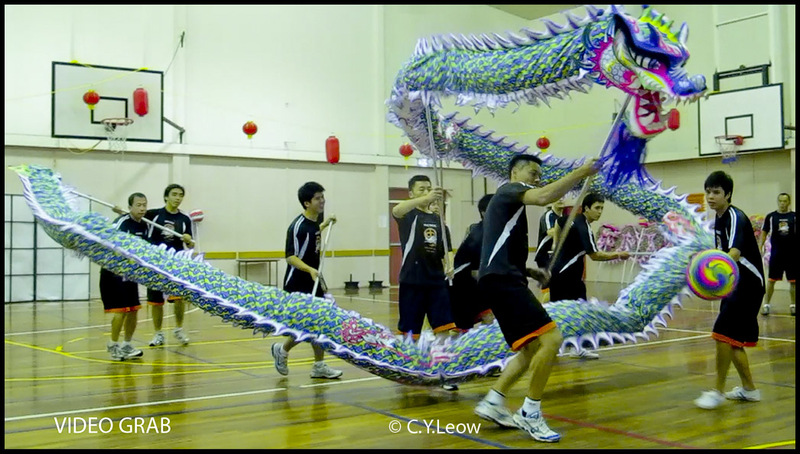 I like the WCSCC Dragon Dance, Amazing co ordination! Imagine how long it would have taken them to learn all that! Clever! The preschoolers lantern dance is impressive too.It`s not a small thing for little ones to co-ordinate to learn a dance.